Those fire-breathing dragons are troublesome beasts. 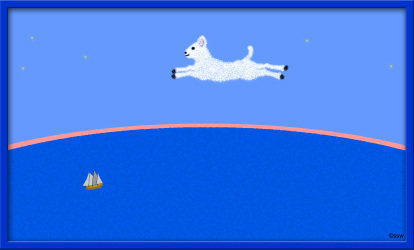 then flying away, yelling har-dee-har-hars. My dragon’s different. He doesn’t breathe flames. He hunts down a fire, then carefully aims. and drowns out the flames like a jet-powered hose. I ride on his back while he squelches the fires. I steer him away from the potholes and wires. then everyone cheers, and we’re done for the day. 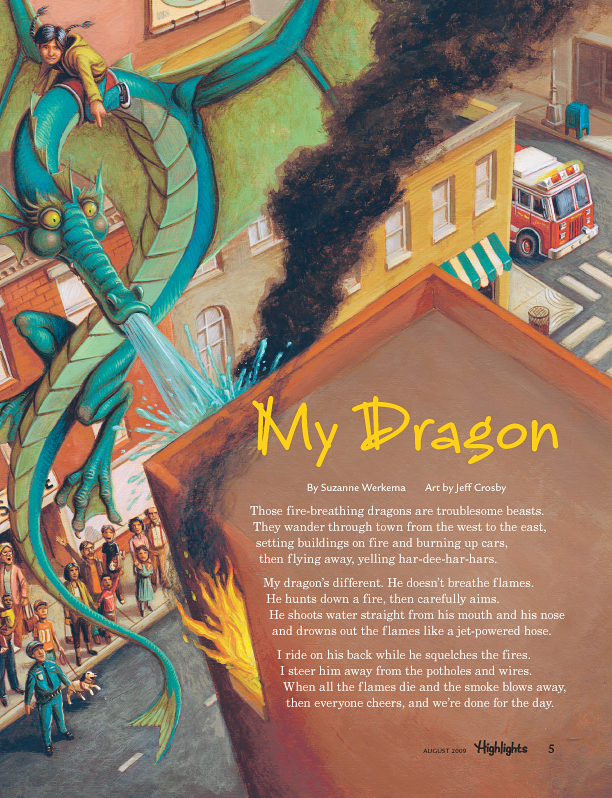 and on Highlightskids.com at http://www.highlightskids.com/poetry-player-poems/my-dragon. Used with permission.